This is a 737-200 Advanced made for the Kerbal market, with modified engines, control surfaces, and avionics. During the testing phase, KAF aviator CDR Valentina Kerman described the -231 as a Hoot to fly . Although it has the customer code for 31, it doesn’t mean it was owned by TWA, but rather I just put it there for no reason at all. Pilots’s note: It uses FAR, so it does handle like a bigger jet, but it’s still good fun to fly. Takeoff speed is a bit high, at 100 m/s flaps up, although I haven’t tested the run with flaps down. I haven’t set the lights up correctly, so it’s up to you to fix it (I think I just forgot to set the wing lights). 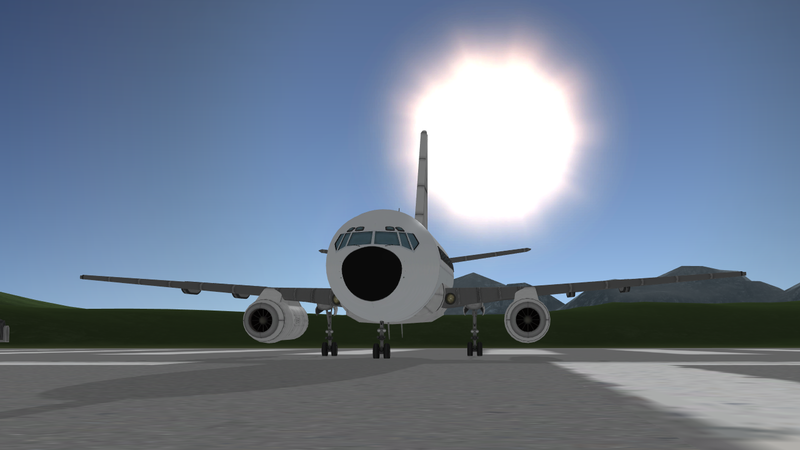 Also the engines are pretty powerful, able to bring the aircraft over 300 m/s. A mod aircraft called Boeing 737-231 Adv. Built with 138 of the finest parts, its root part is FWmedpassengerCockpit.